FreshWater Watch can engage teachers and their pupils in hands-on science and bring sustainability to life in the classroom. Read on to discover how your school can get involved. 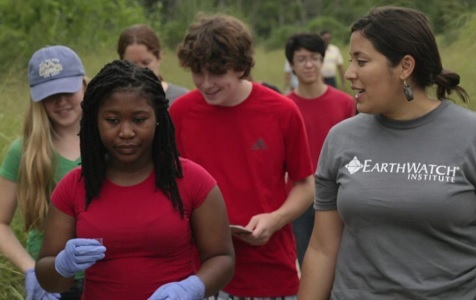 Earthwatch works with teachers and students to empower the next generation to take action to save our planet. 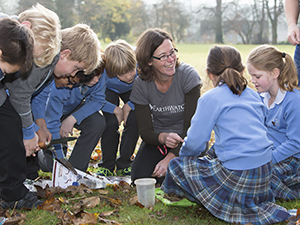 In the UK, our free Discover Earth programme engages teachers and students with nature and helps them to reconnect to their planet, understand their impact on it and take action to protect it. The Earthwatch specialist Learning Team can come to your school to work with teachers or lead your students in how we can achieve a more sustainable planet and the Sustainable Development Goals, with focus on science, climate change and the environment. As an alternative to the UK Discover Earth programme, teachers around the world can choose to subscribe to FreshWater Watch. You will receive a full testing kit to use with your pupils, along with access to the FreshWater Watch portal containing instructional videos, research tests and a web page for your school. The children have really taken the key water saving message to heart. It has been lovely to see how enthusiastically they thought of exciting new ways to reduce their own water use and spread the message throughout the community. I learnt that citizen science tries to make the world good and helping scientists is important because if we work together we can make the world a happier place.